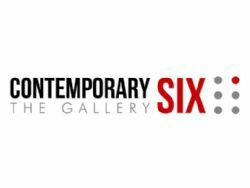 Two artists with a growing reputation in their respective fields, the painter Colin Taylor and poet Antony Rowland will be collaborating to hold a joint exhibition at Contemporary Six - The Gallery in Manchester city centre, from 11th June. Both Taylor and Rowland create imagery about places they have travelled to, worked and for this exhibition, the city in which they both now live. Over the past four years, Taylor has been working on a series of paintings of the Manchester skyline as viewed from some of its tallest buildings. It is the latest phase of an ongoing personal exploration of how ‘experience’ can be conveyed in visual form. In recent years Taylor has shifted subjects from the contemplative interior of a cathedral to the broad picturesque prospect of the northern upland and to the heat, clank and clatter of a street market in India. For this exhibition Manchester’s accumulated contours, transport corridors and its breathing space is explained as pure landscape. In 2012, Antony Rowland won the prestigious Manchester Poetry Prize; he has also recorded for the National Poetry Archive, and was included in IDENTITY PARADE: NEW BRITISH AND IRISH POETS (2010). His currency is the observed and the everyday and he applies language like layers of paint to images that reflect the sprawl and vibrancy of the surrounding cultural landscape. Some of these ‘postcode’ poems are published here for the first time. Since Taylor started work on his Manchester cityscapes, he has been steadily building an audience for his work with solo exhibitions in New York, Cologne, Washington DC and later this year, in Paris. By chance, Rowland and Taylor realised that they were both thinking, not just about the contemporary structural and social characteristics of Manchester but also the ways in which history piles up behind, and leaks into, current experiences of the city. Taylor sees Rowland’s poems as ’not mere leaden fact, but a non-linear perception’ of change upon a single constituency which itself is part of a wider and similarly rapidly evolving conurbation.